Algorithmic Graph Coloring and Random Graphs have long become one of the most prominent branches of Combinatorics and Combinatorial Optimization. It is thus very natural to expect that their mixture will produce quite many very attractive, diverse and challenging problems. 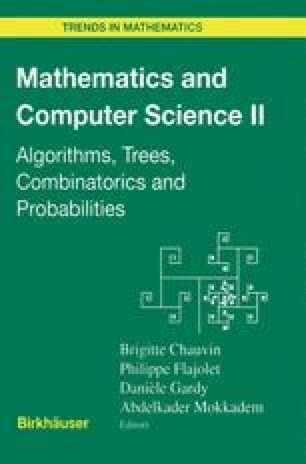 And indeed, the last thirty or so years witnessed rapid growth of the field of Algorithmic Random Graph Coloring, with many researchers working in this area and bringing there their experience from different directions of Combinatorics, Probability and Computer Science. One of the most distinctive features of this field is indeed the diversity of tools and approaches used to tackle its central problems. J. Culberson and I. Gent Well out of reach: why hard problems are hard Technical report APES-13–1999, APES Research Group, 1999. Available from:http://www.cs.strath.ac.uk/apes/apesreports.html.